I just created this test for my class, the explanation and exercises are taken from different web pages but some of them are used in different ways. I hope you find them useful. 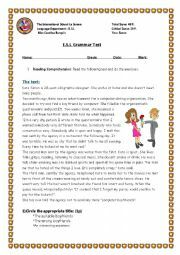 I took the reading from this page and I adapted it to the test. 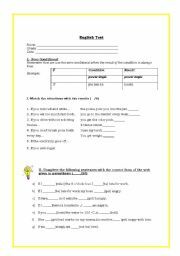 It also contains pronouns exercises. Students learn the colours and practice listening and colouring a nice clown. 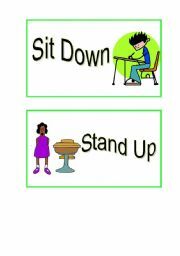 Students listen the song and then do the 4 different activities in the worksheet. 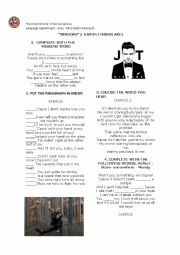 Students have to listen to the song and complete the worksheet with different activities. I hope you like it! 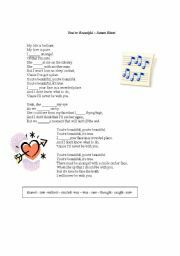 A nice song to practice the simple past, students will have to complete the song with the missing verbs given in a chart. 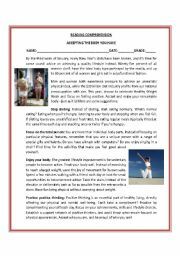 The same in word, now in power point, this one was the first one but there were some problems the other day and I couldn�t uploaded it, so now we have it in word and power point forms. A Power Point that talks about future using present simple, present continuous, be going to and will. Here you have a PPT with the eight parts of the speech,each of them with explanations, examples and online exercises. It is really useful. PN (Predicate noun ), PA Predicate Adjective) , OP (Object of the preposition) , IO (Inderect Object ), DO (Direct Object) . 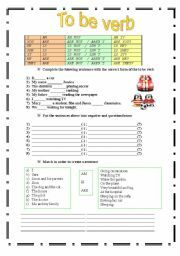 Explanation, examples, exercises and asnwers.